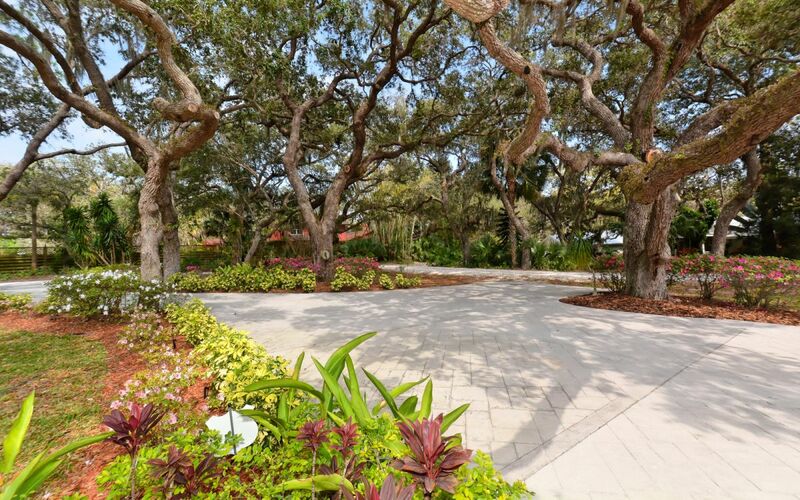 You go down this private shaded lane under a canopy of large live oaks to your magical botanical gardens. 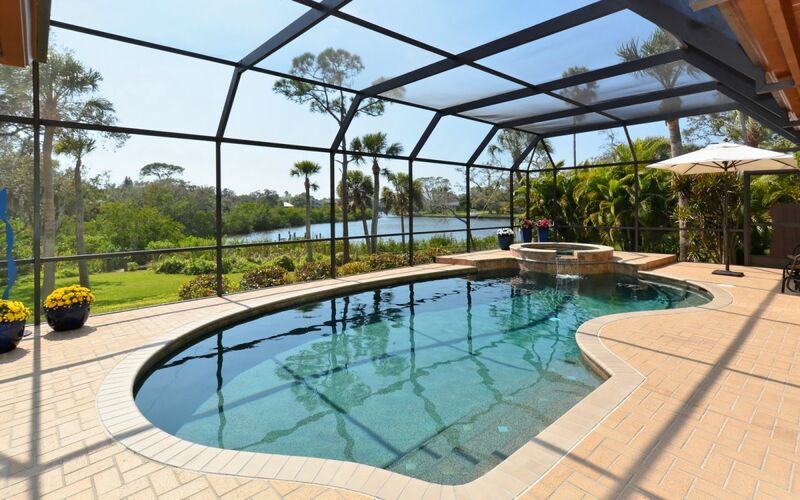 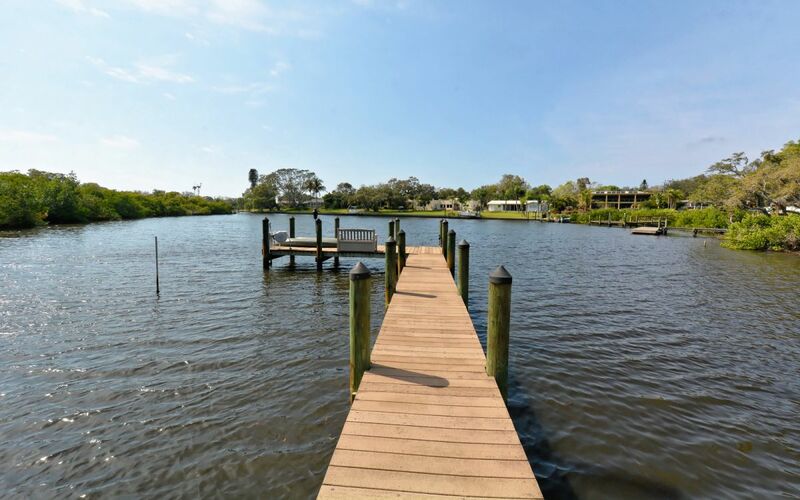 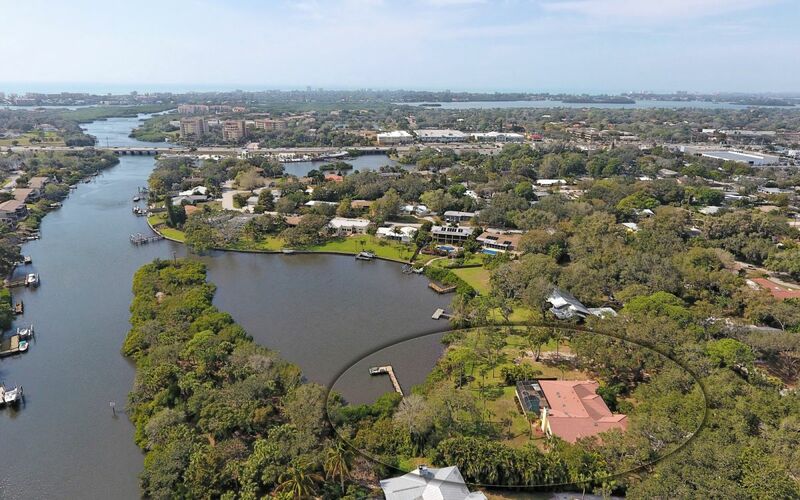 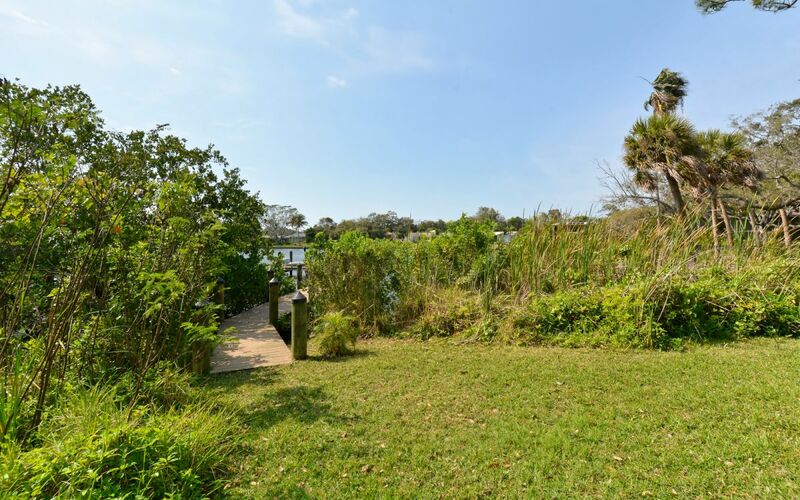 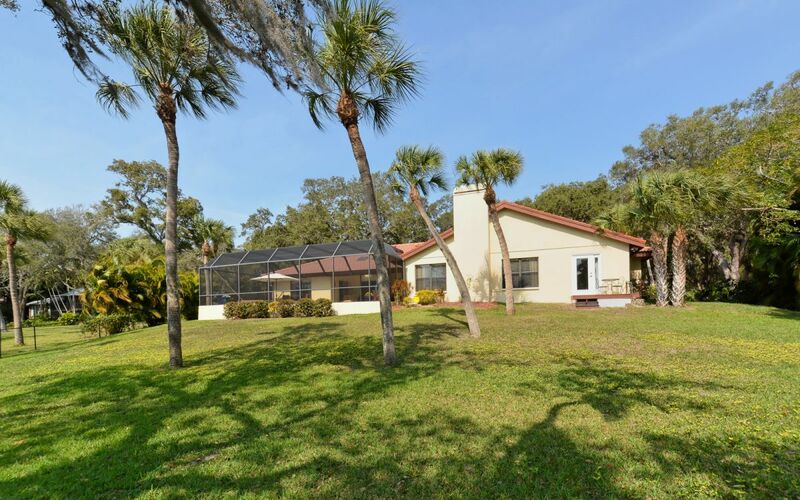 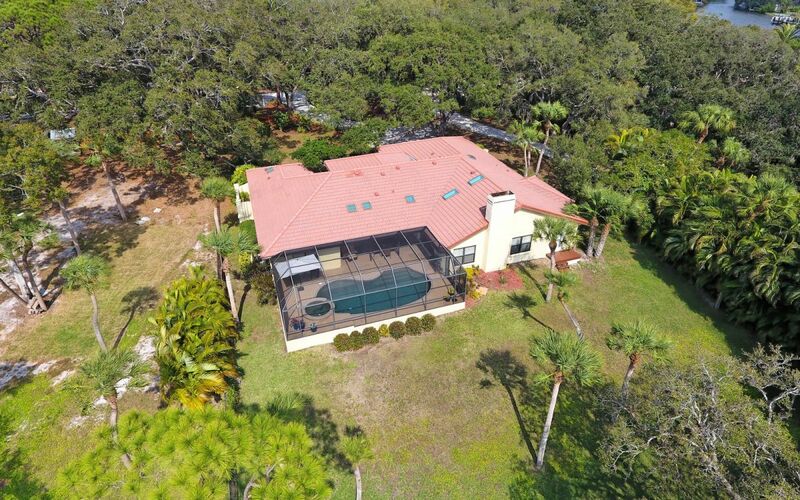 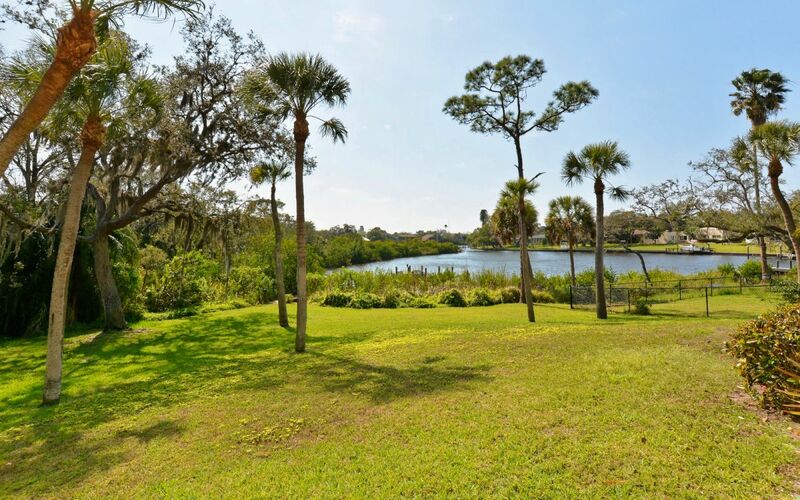 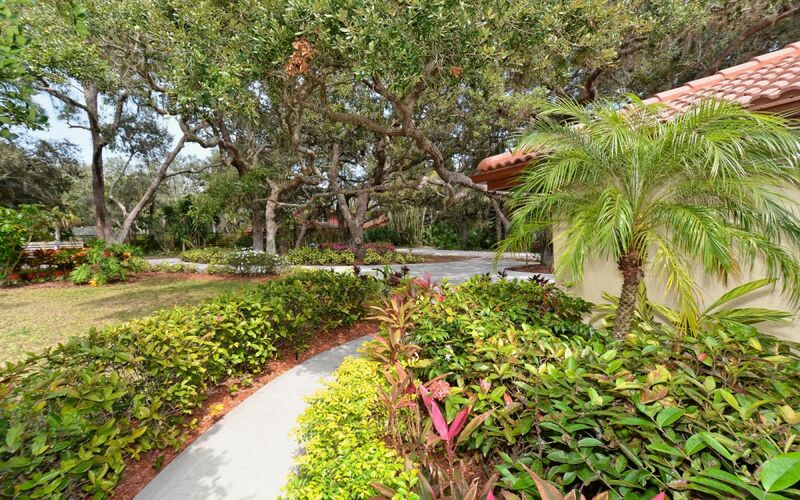 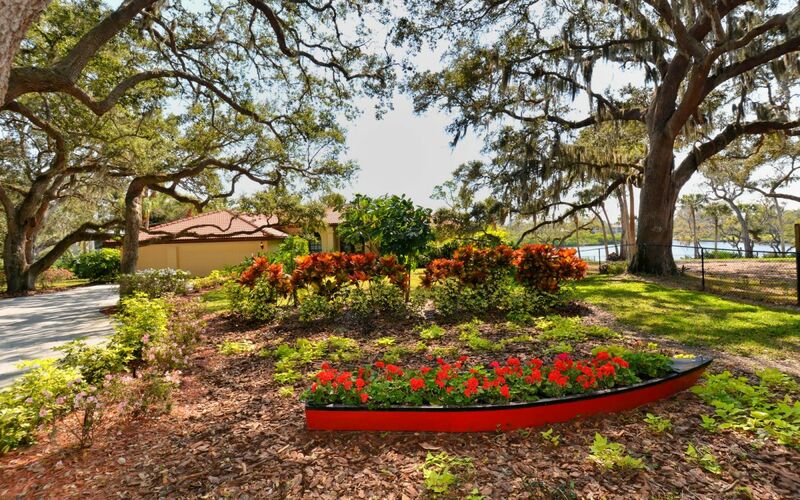 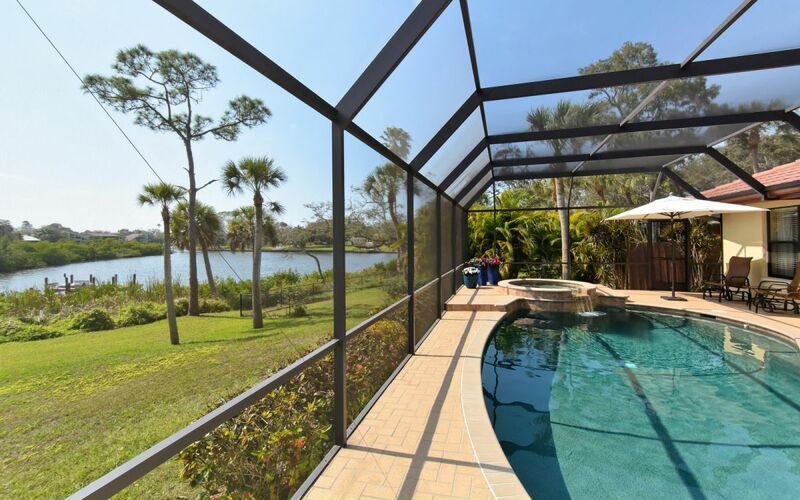 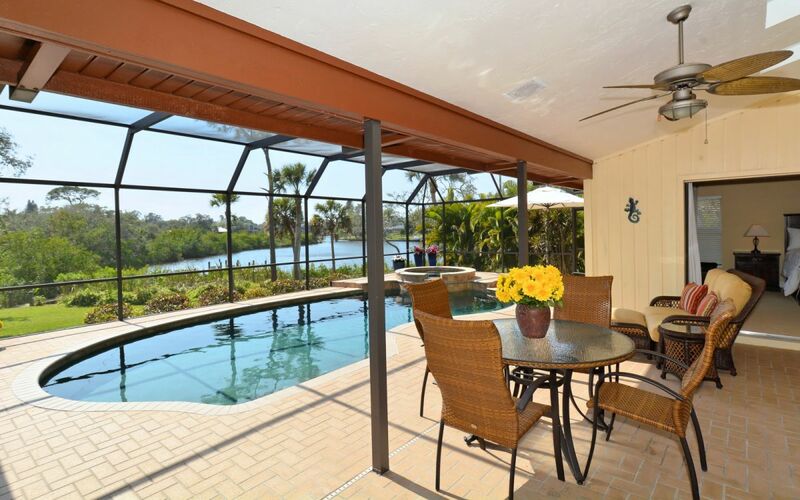 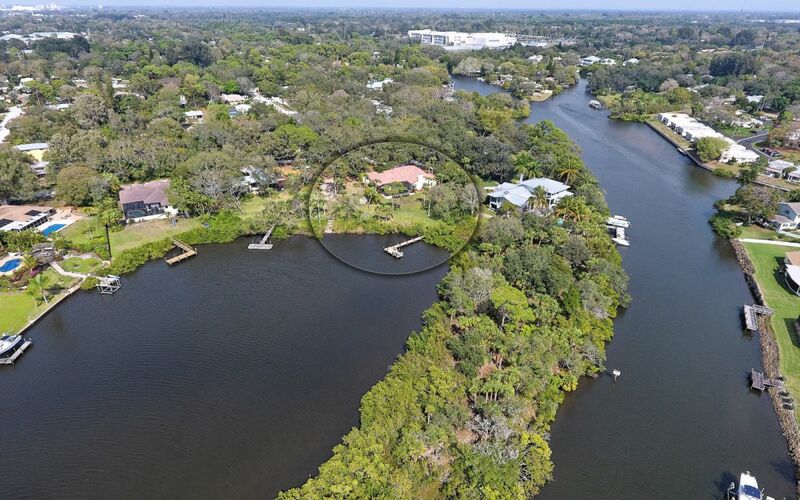 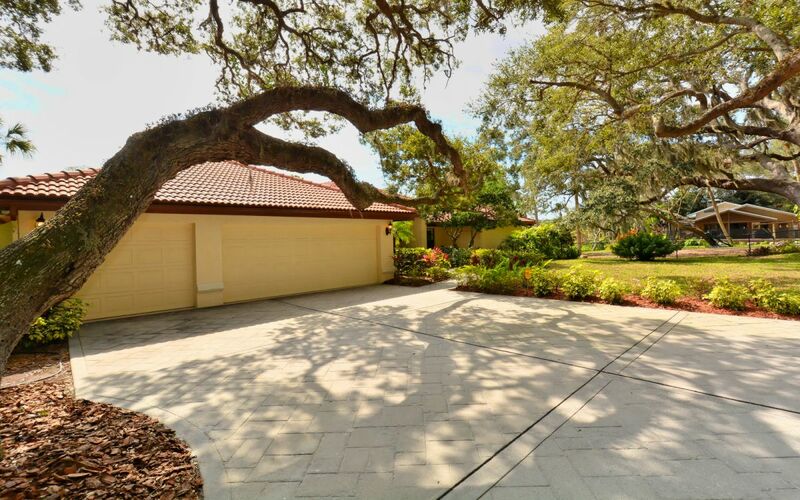 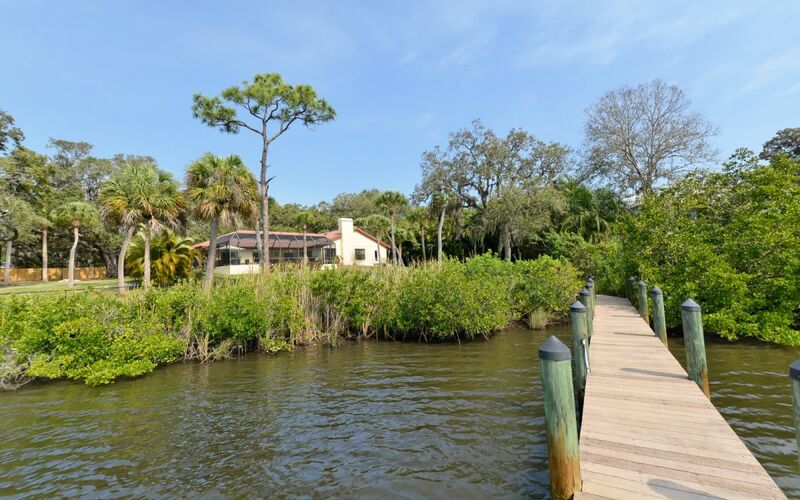 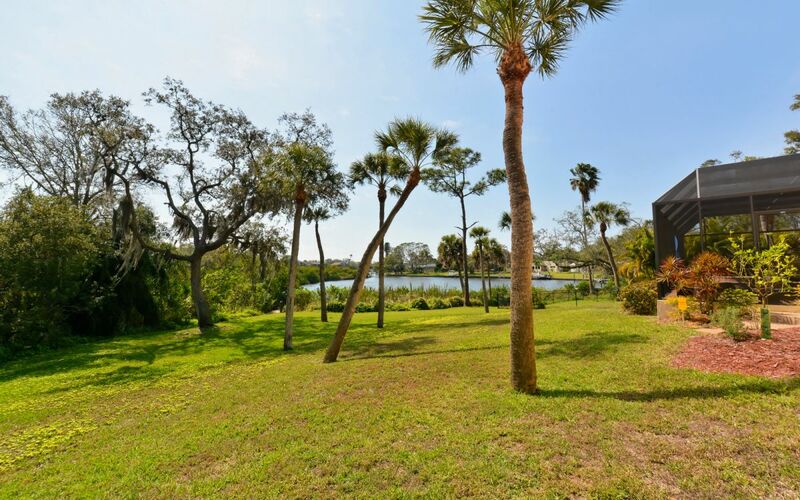 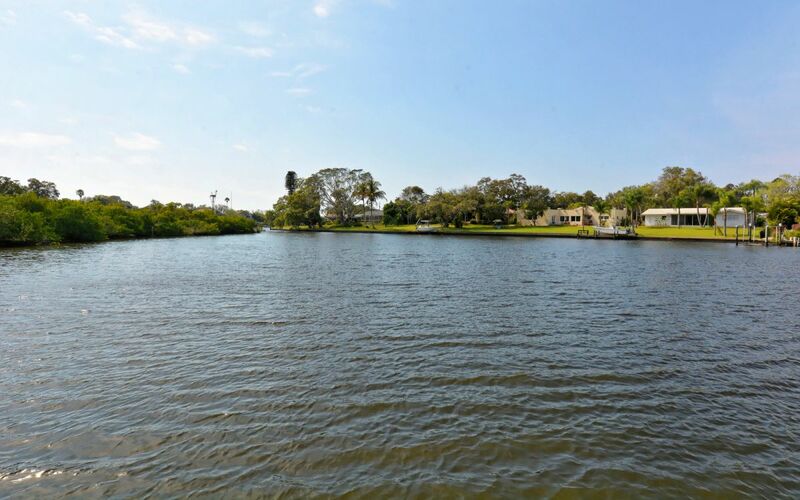 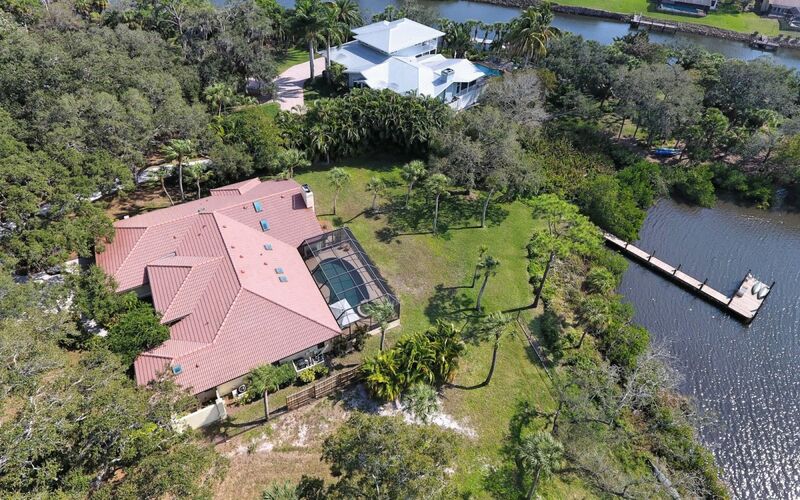 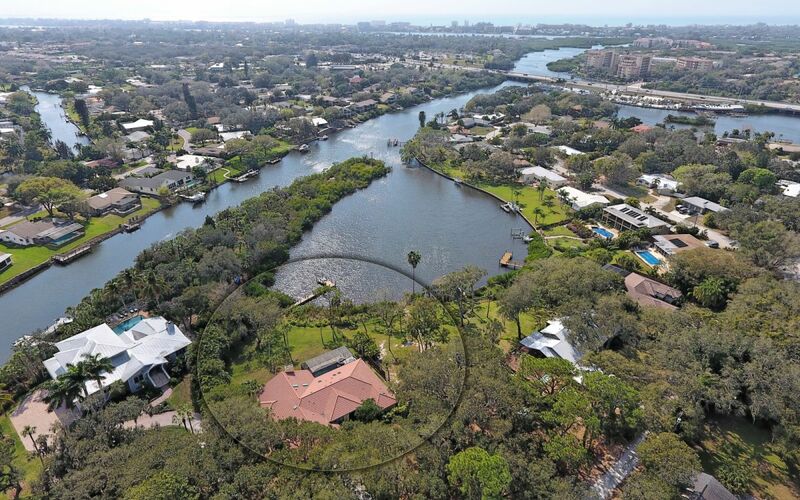 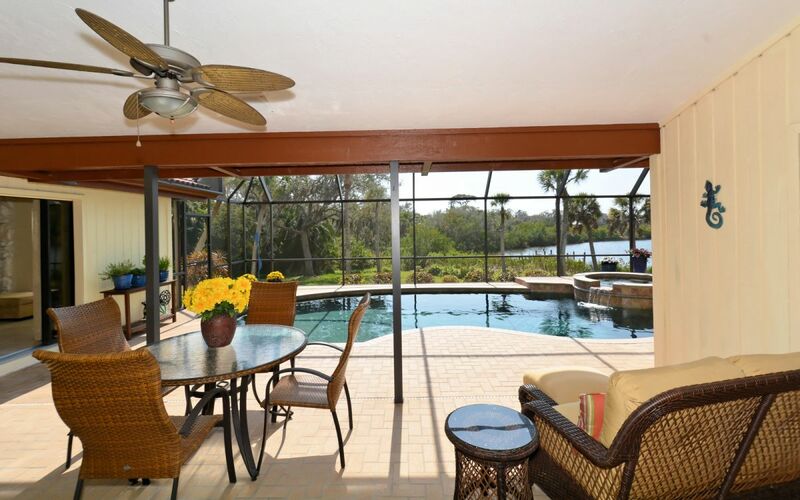 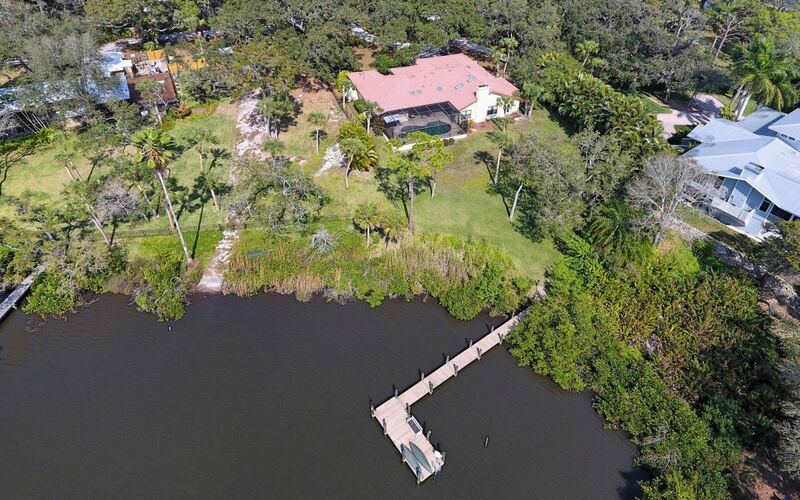 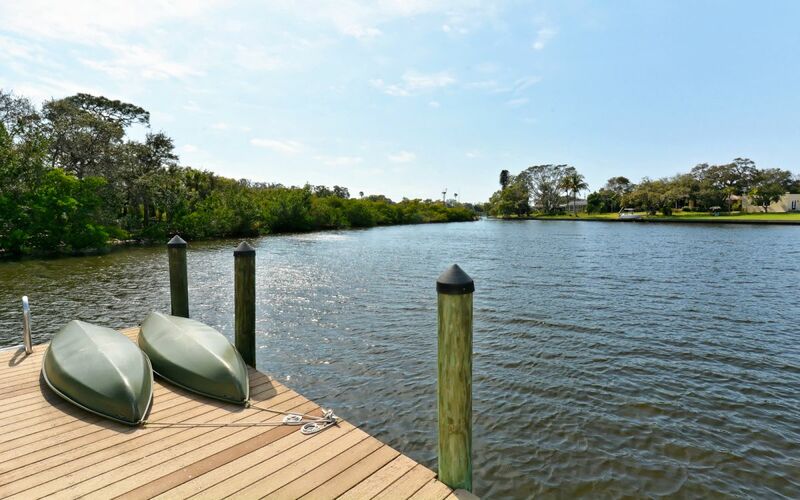 Almost an acre of land overlooking the Phillippi Creek Lagoon and what a peaceful water setting it is. 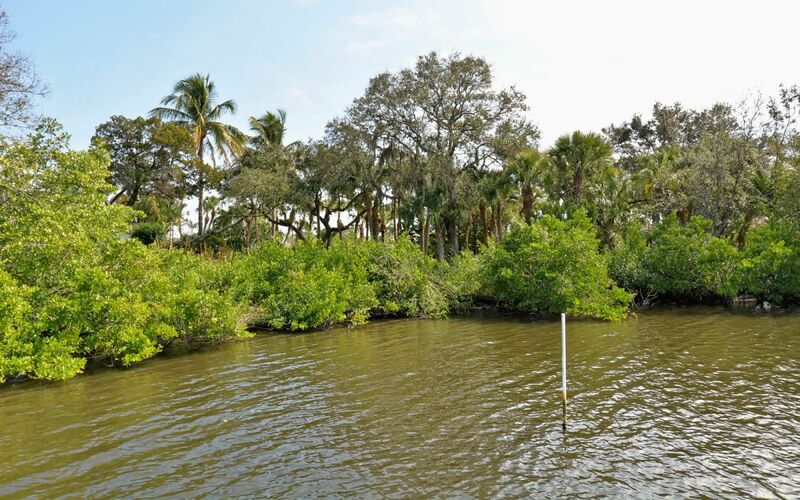 One day you are watching Manatee playing and splashing another watching Osprey building their nest high above. 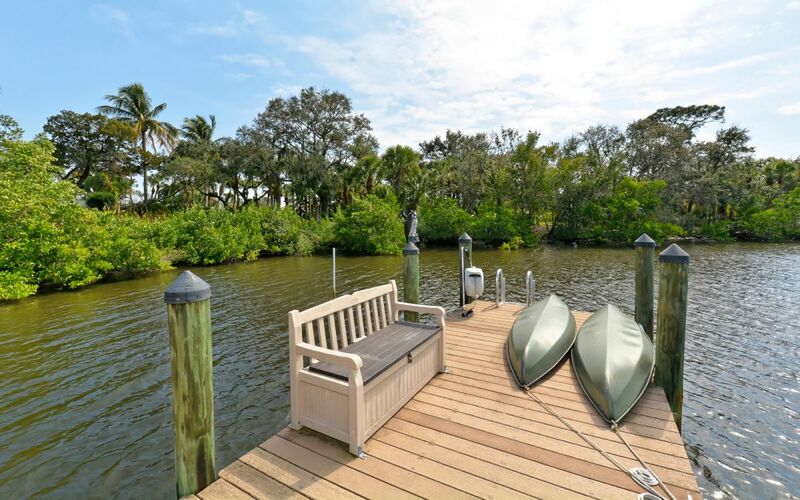 This is a great location for all your water sports and kayaking and fishing from your own boat dock. 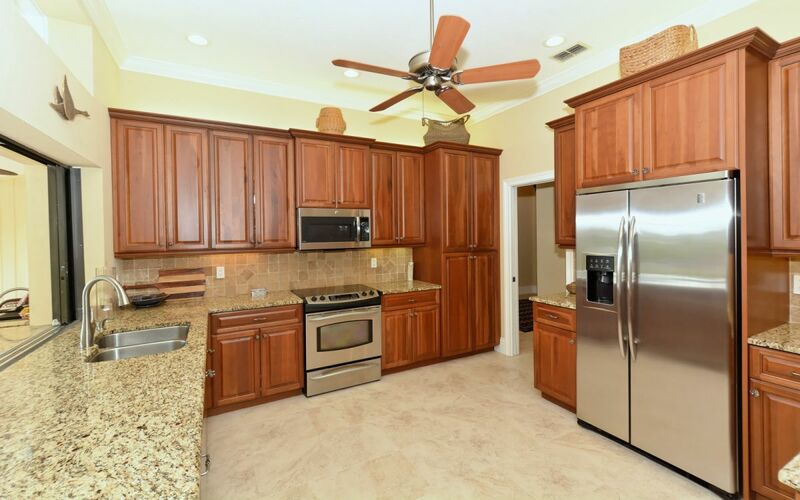 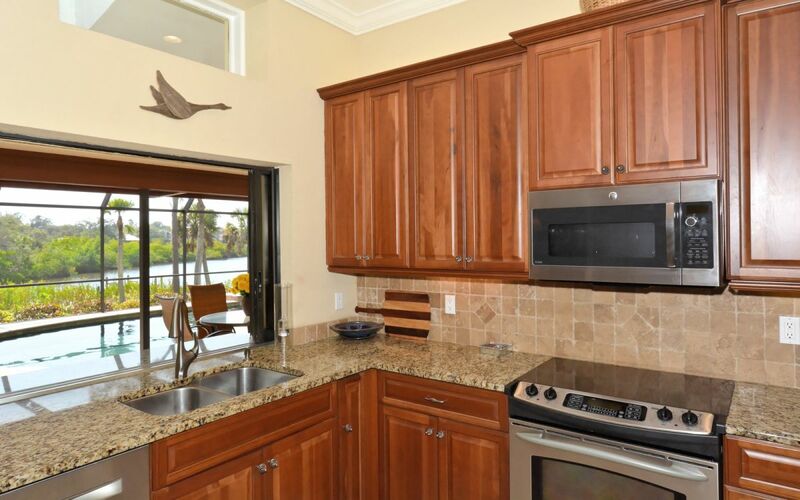 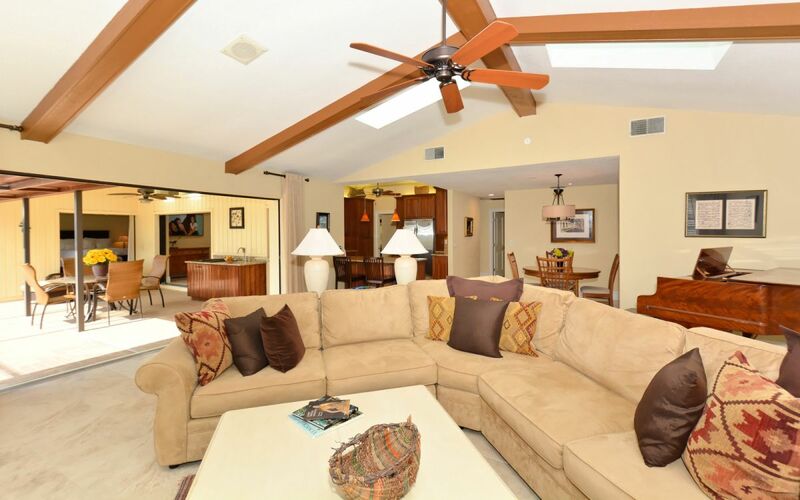 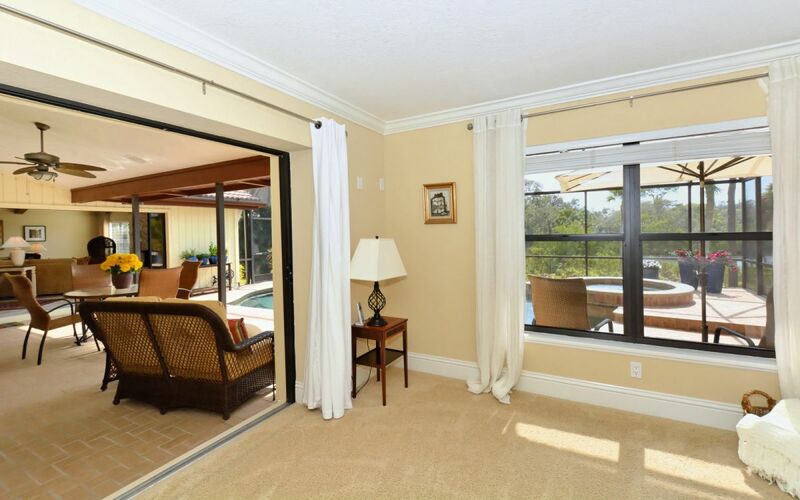 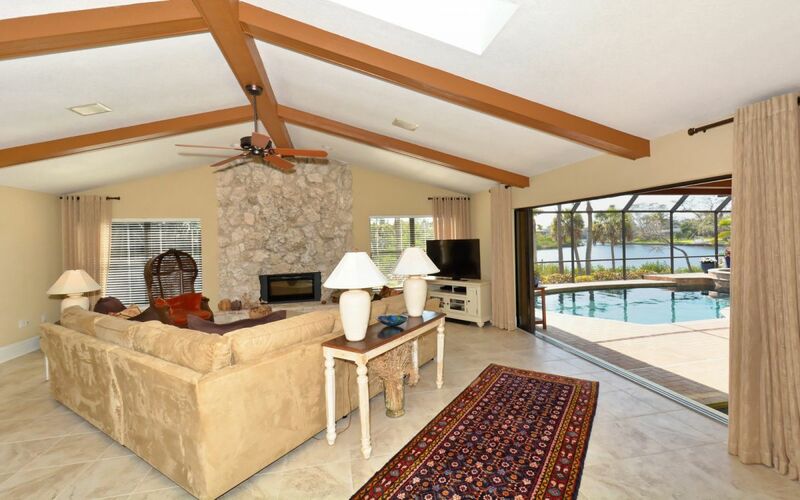 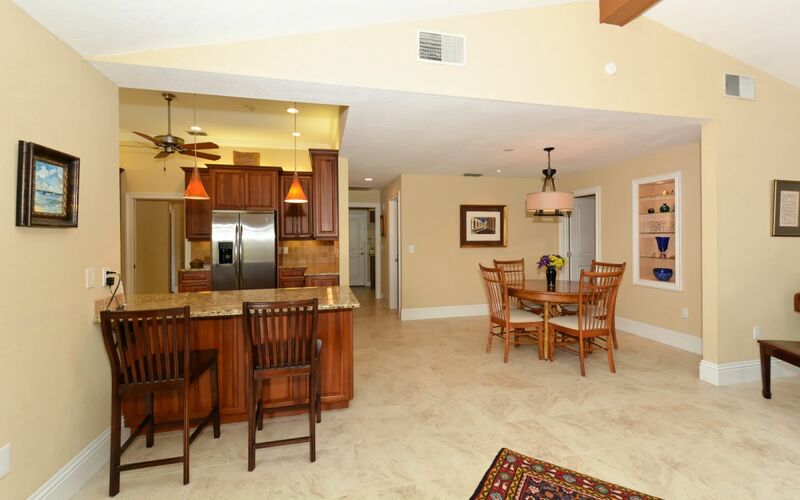 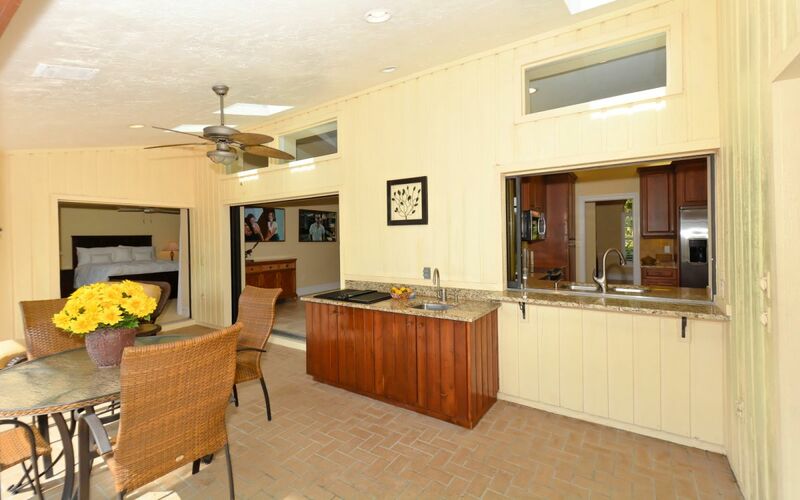 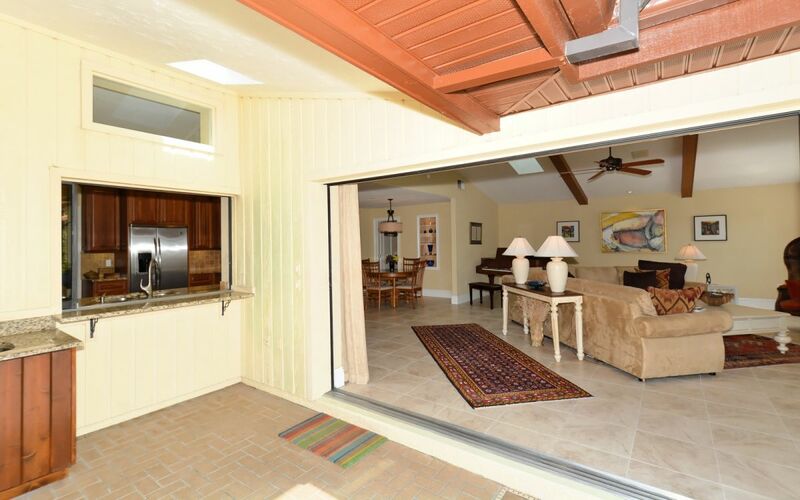 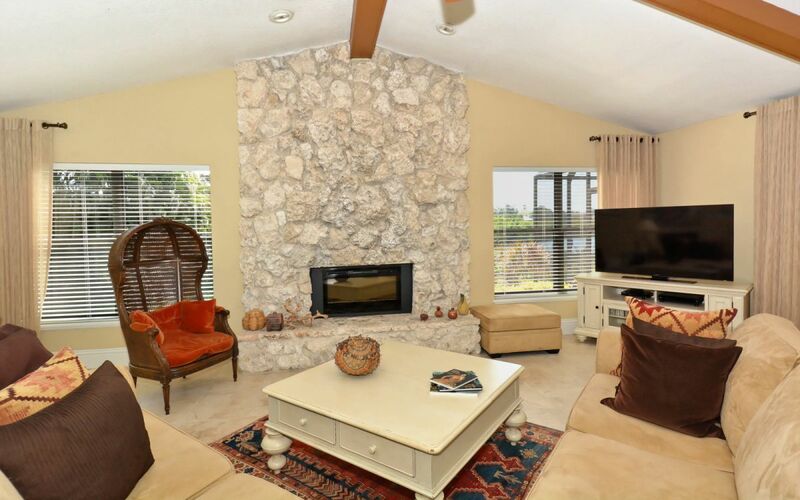 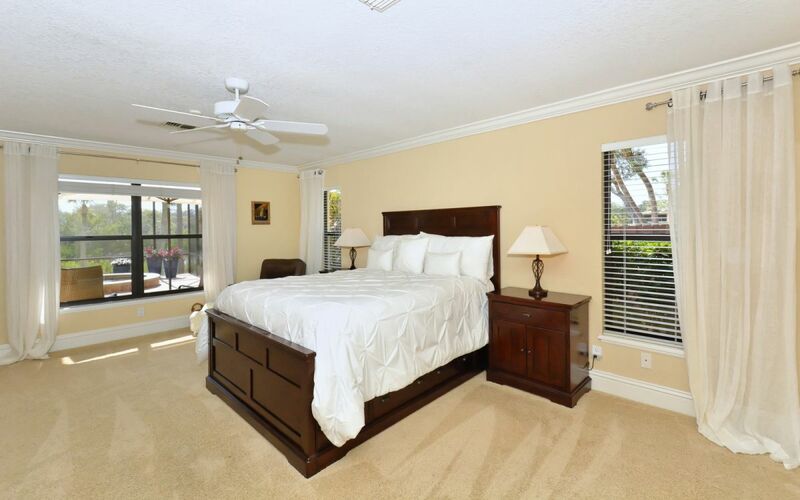 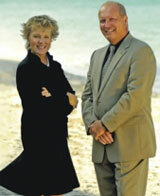 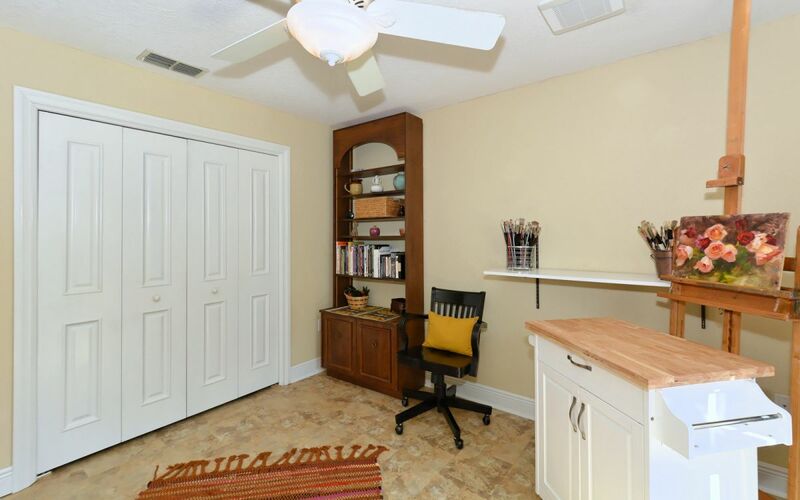 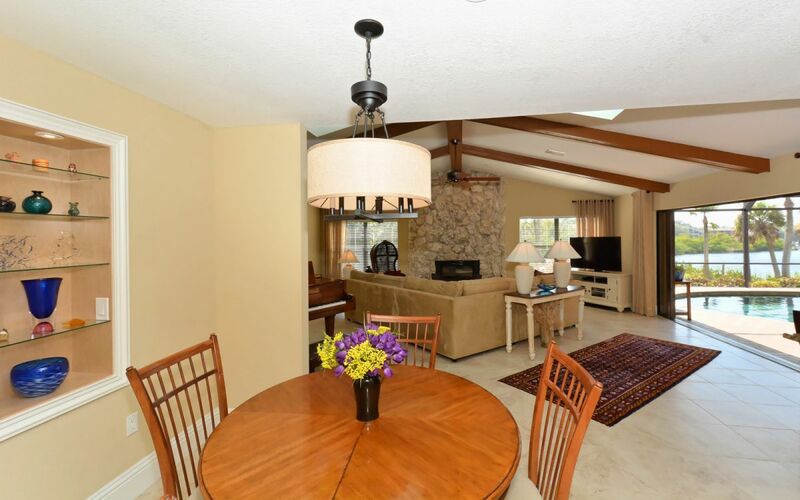 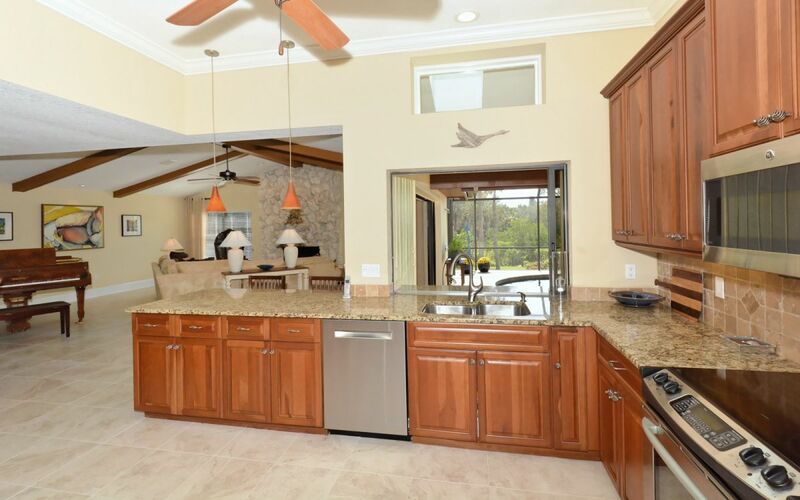 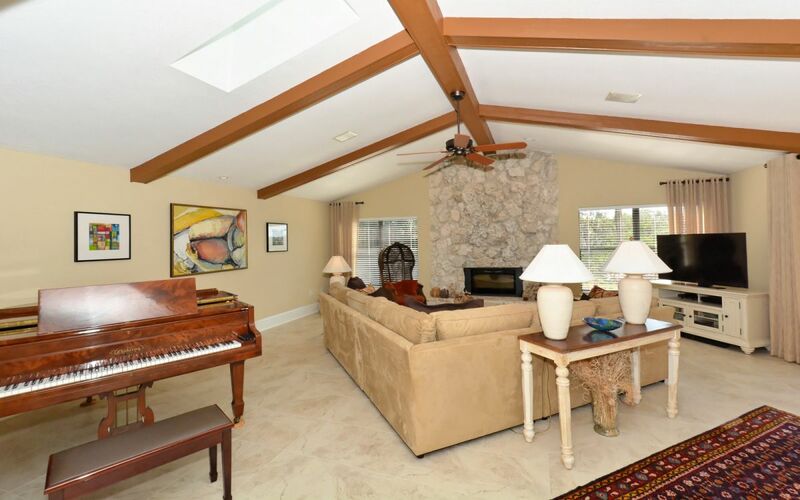 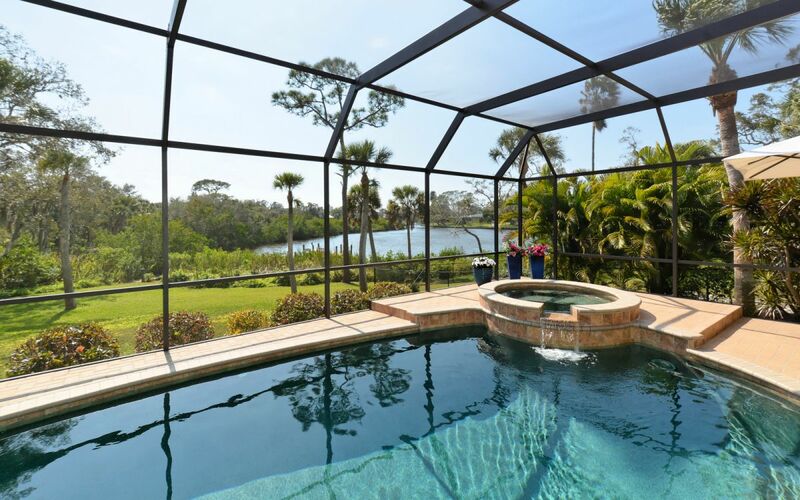 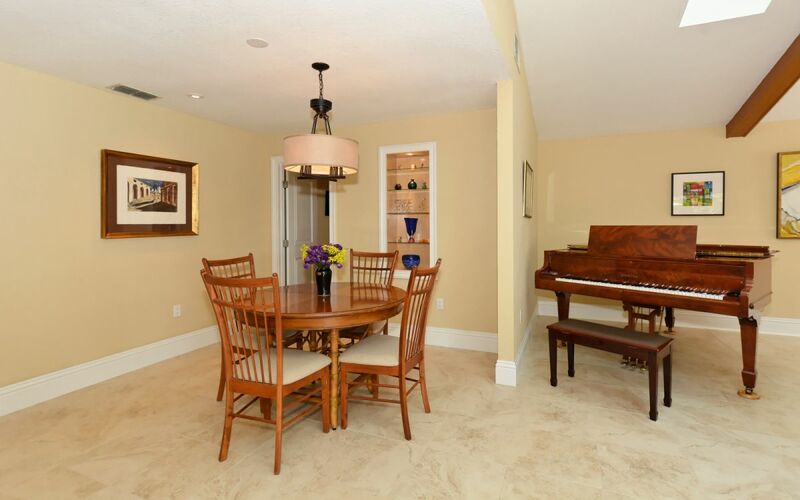 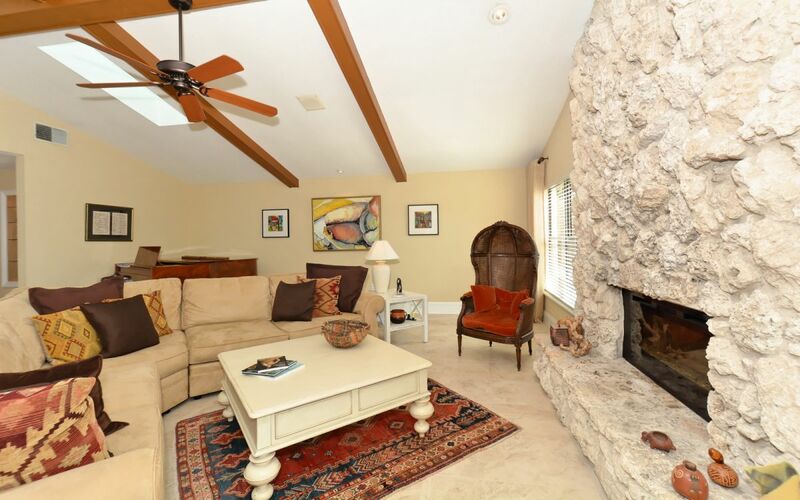 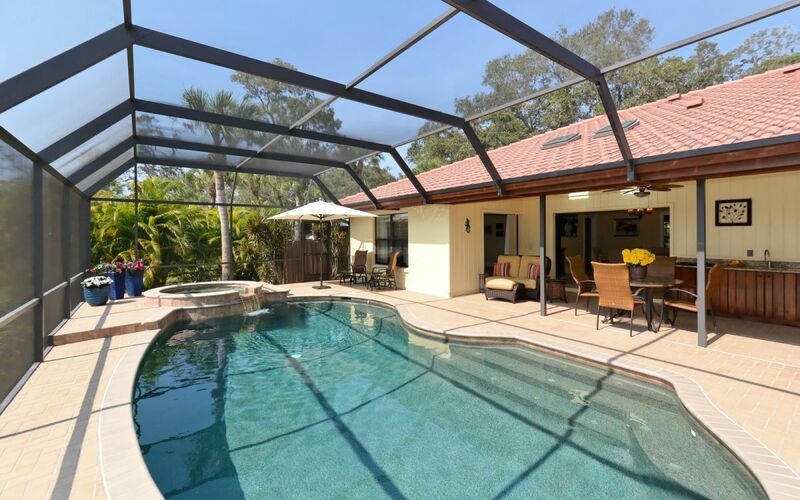 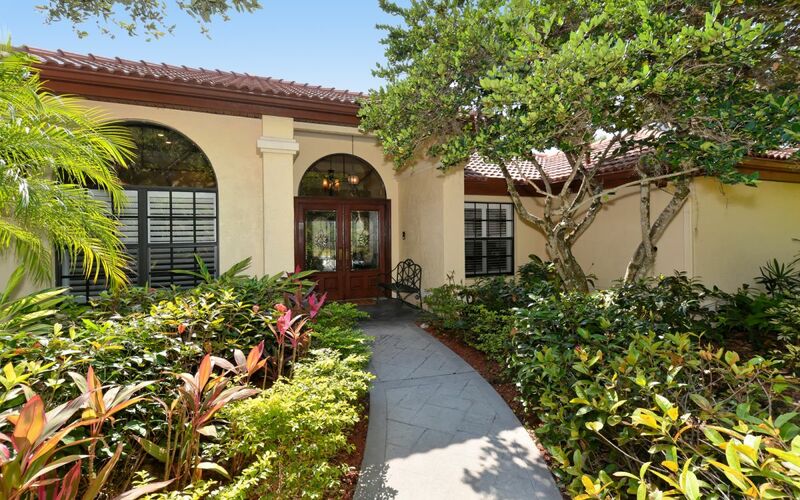 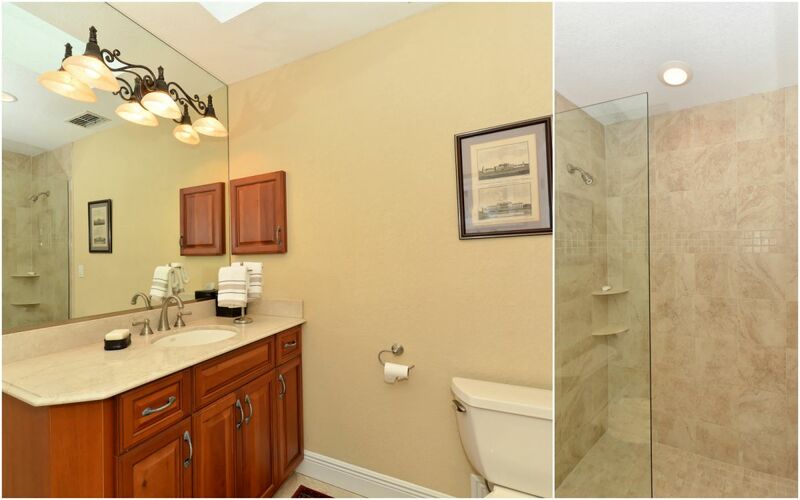 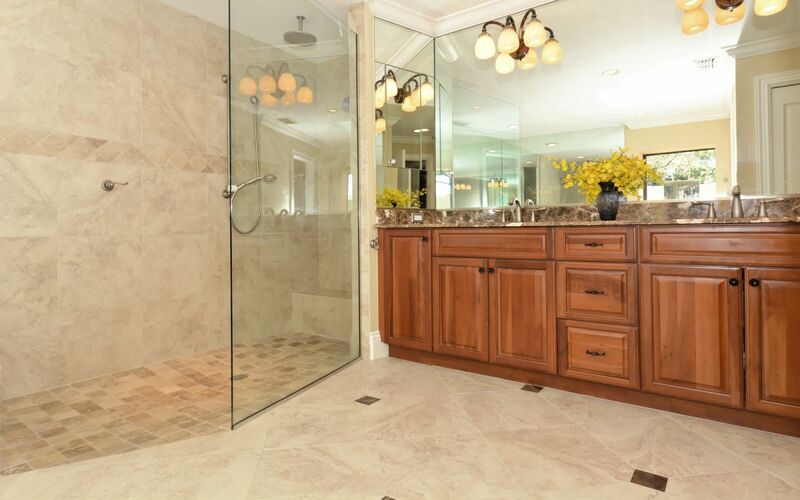 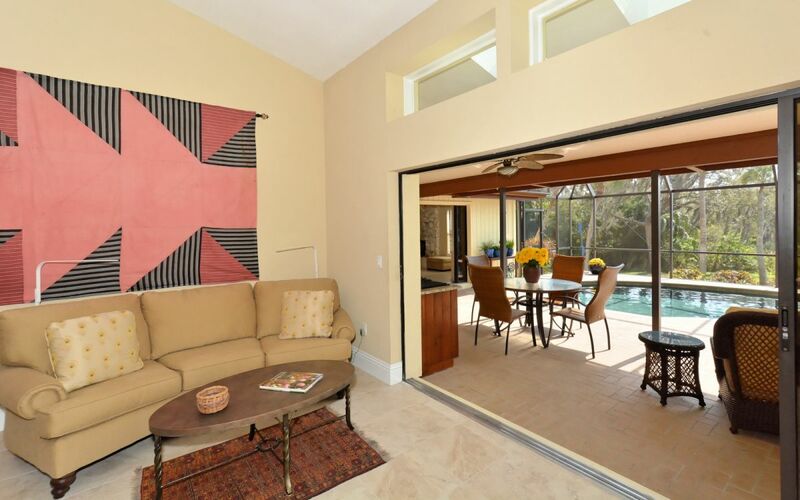 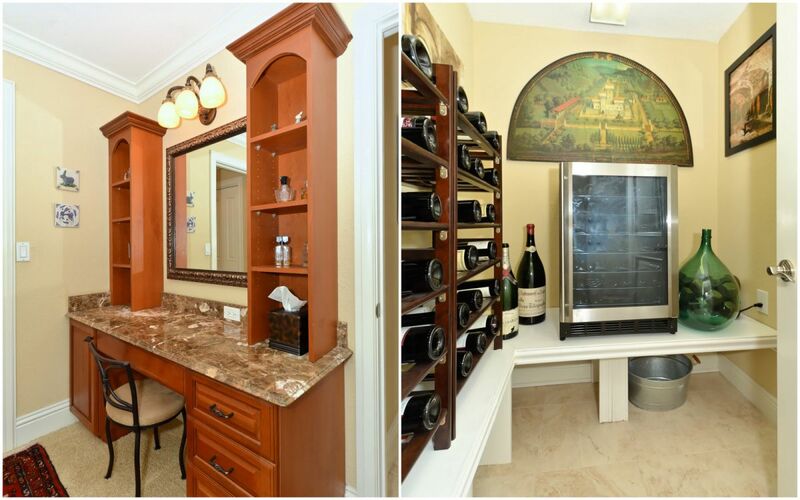 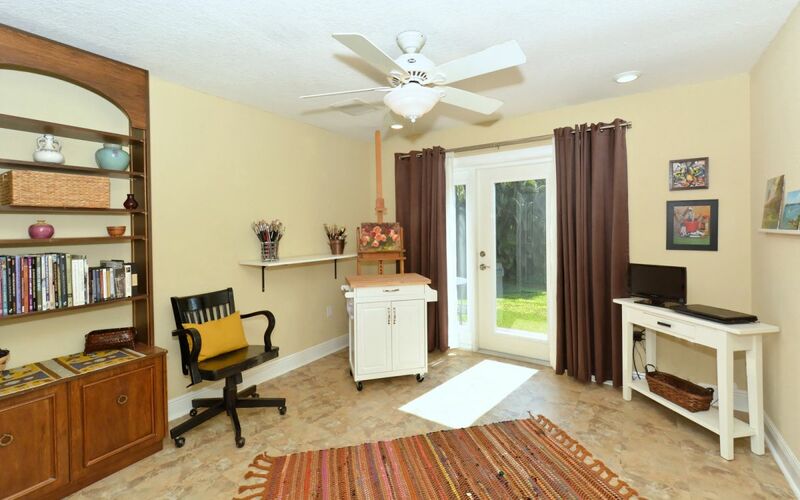 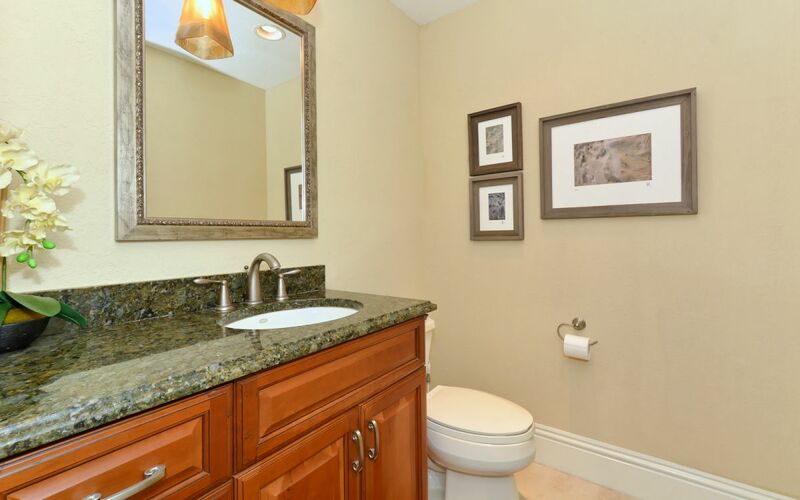 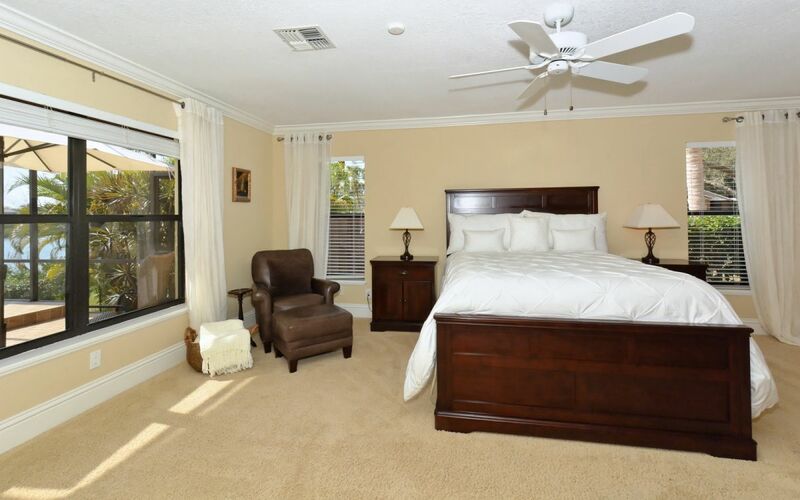 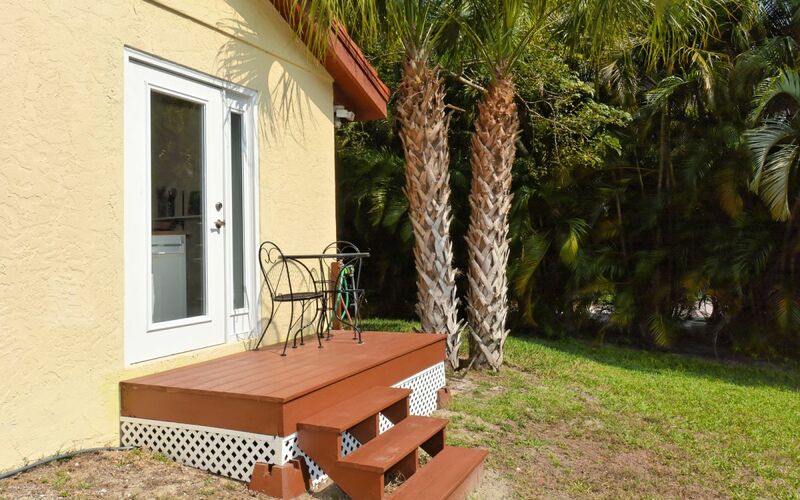 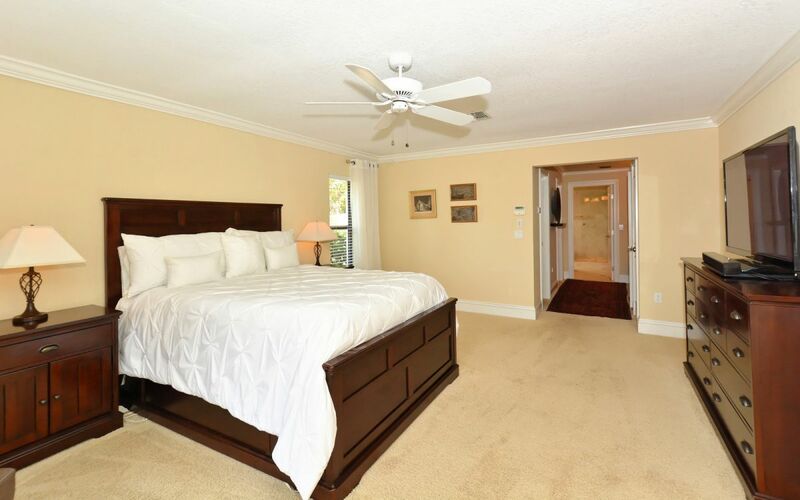 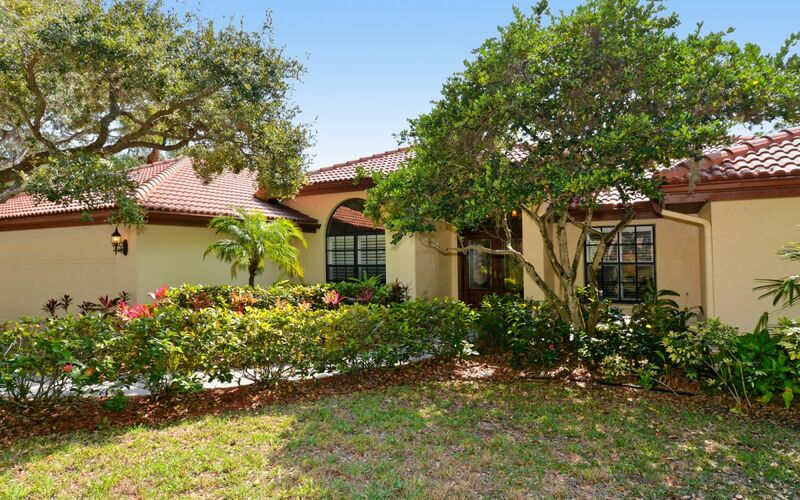 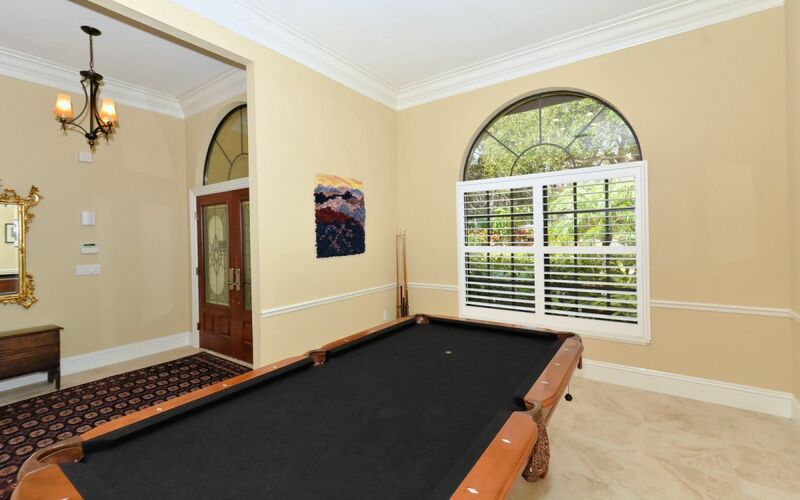 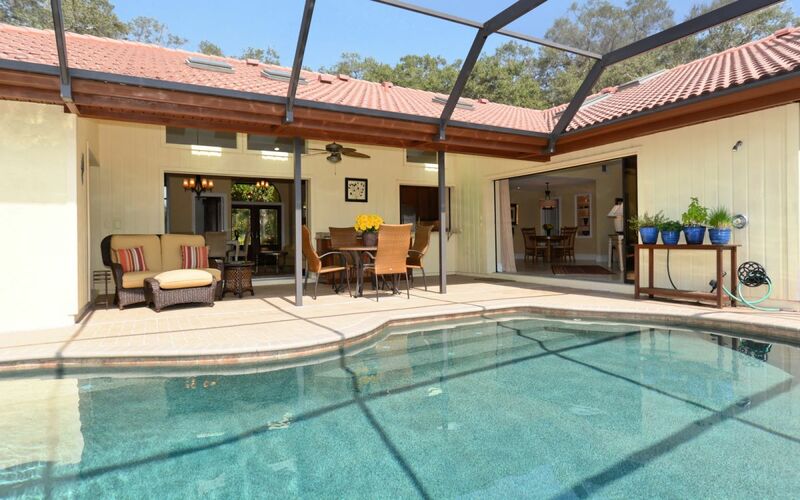 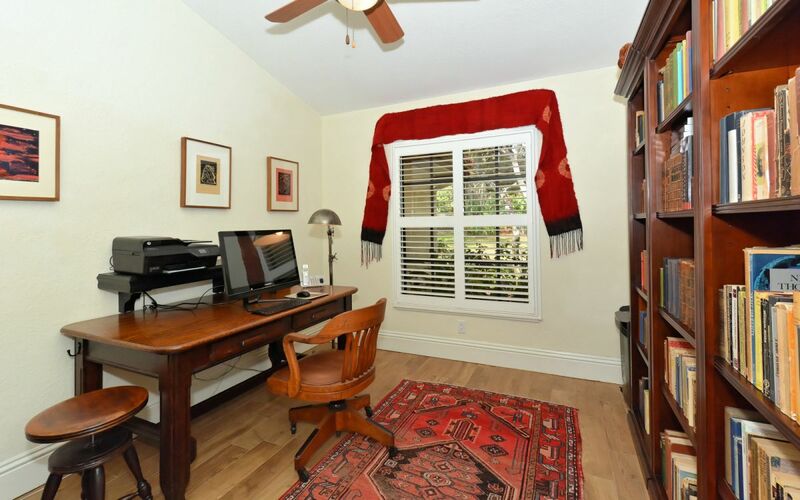 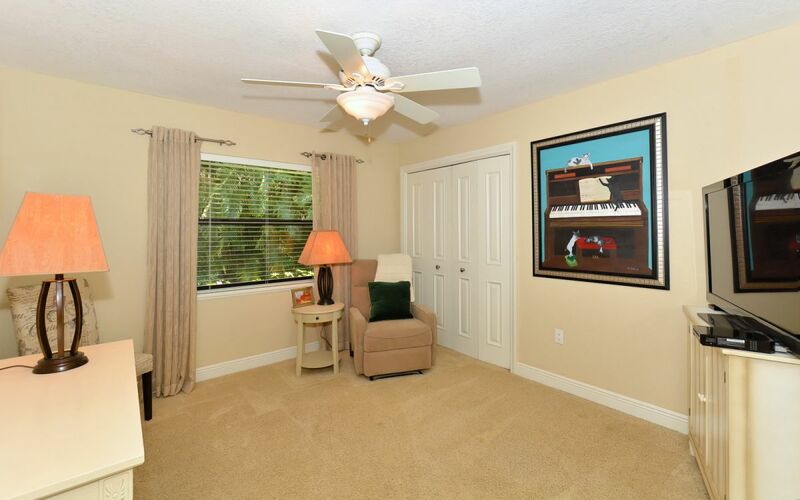 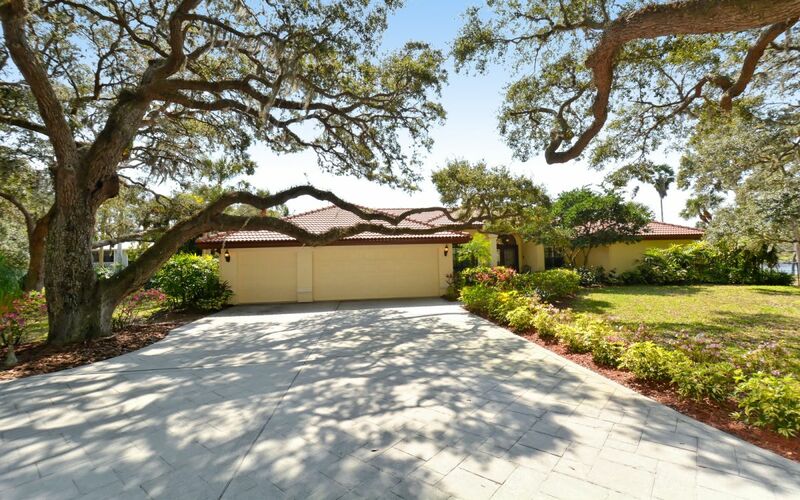 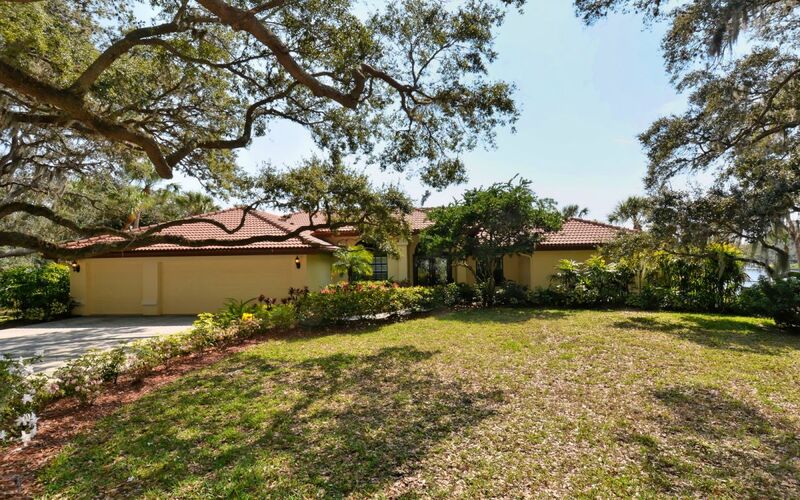 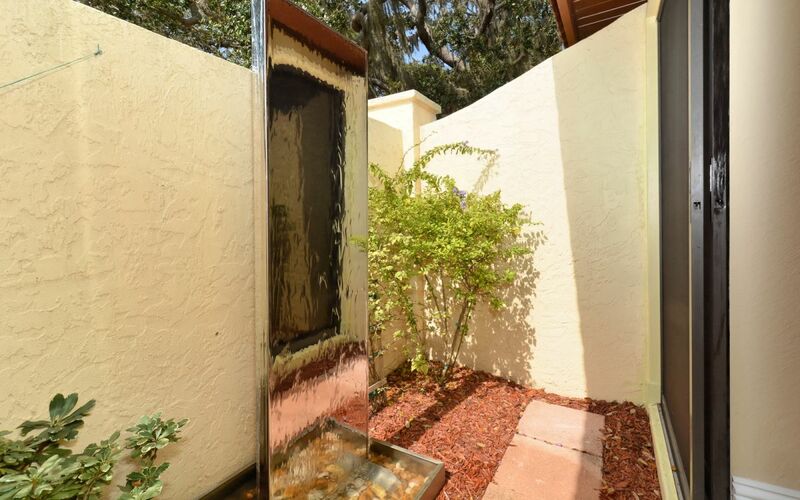 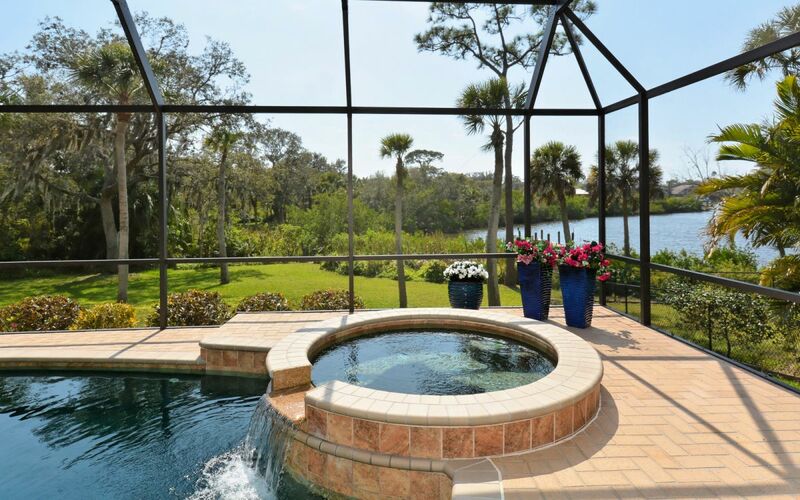 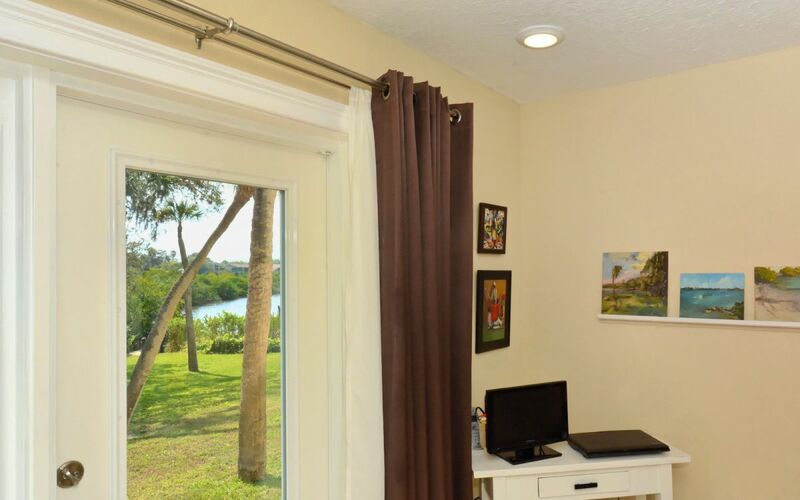 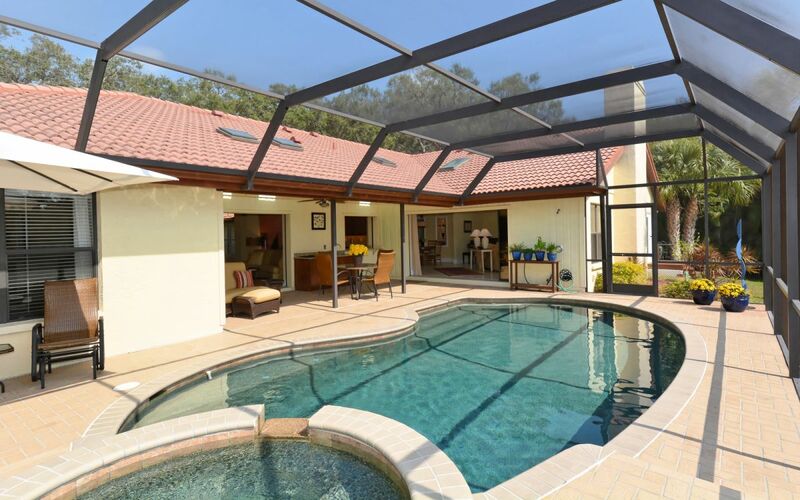 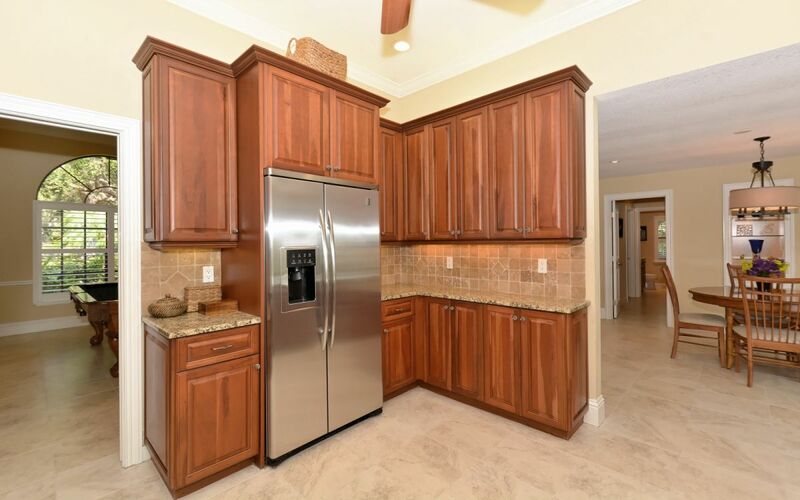 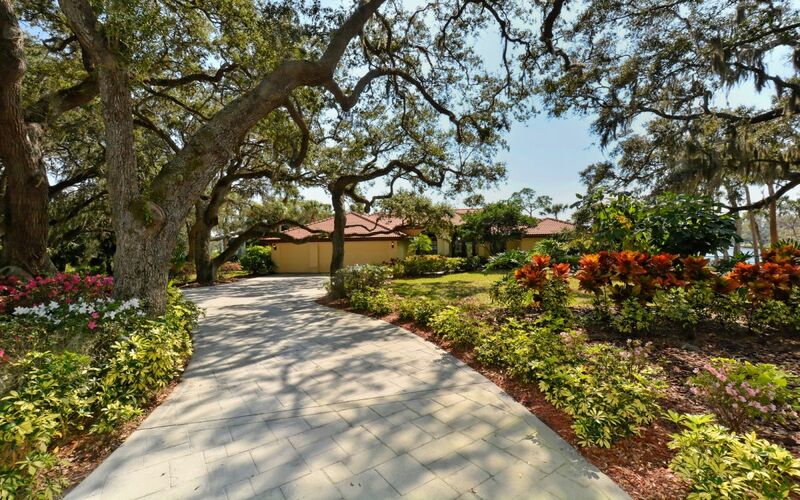 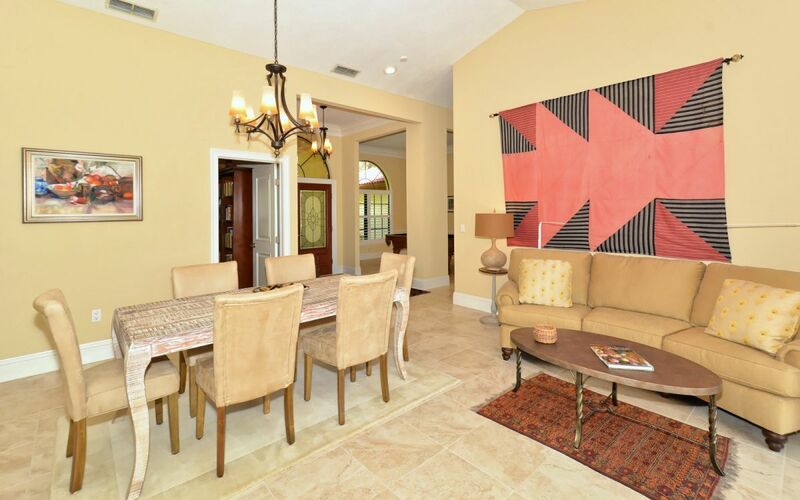 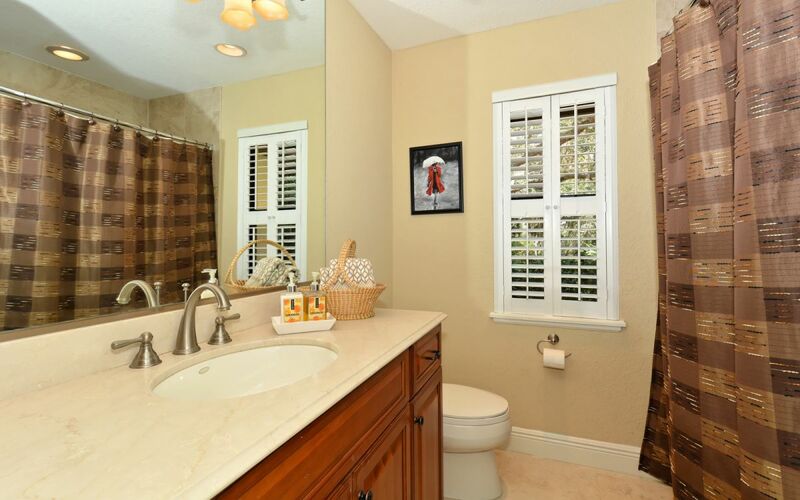 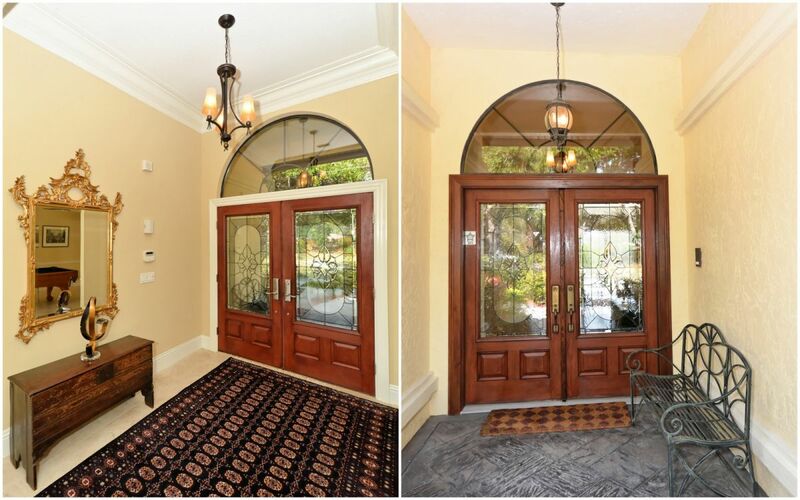 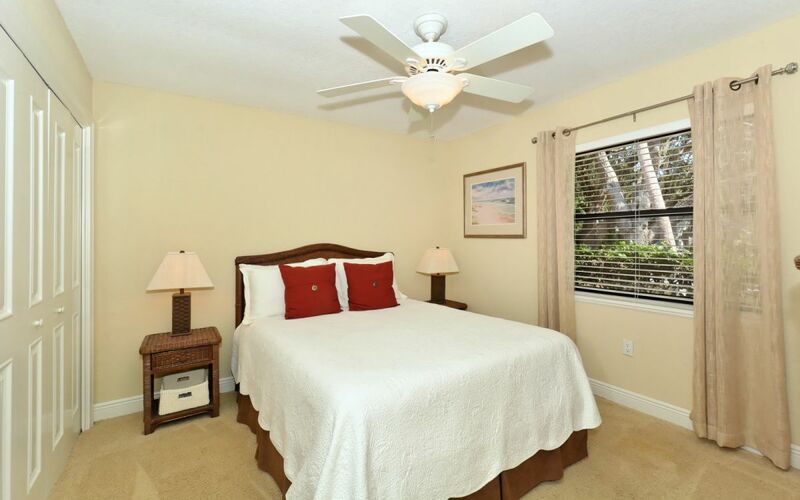 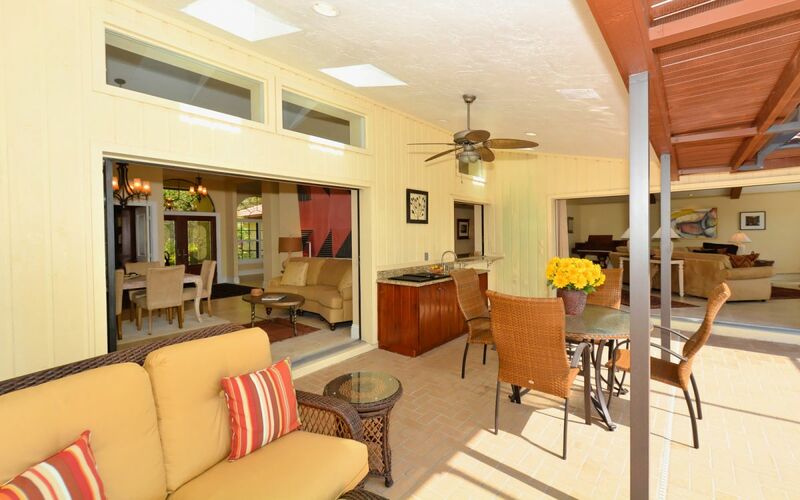 Plus, you are centrally located minutes to Siesta Key, downtown Sarasota, schools, restaurants and shopping. 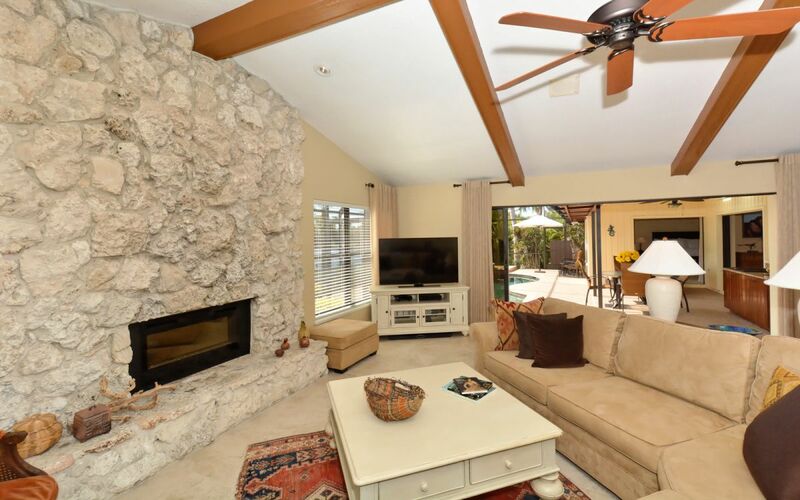 When one walks in the front door you see all the extensive quality renovations that have been done throughout: Gourmet Kitchen, Grand Master Suite with Spacious Bath, Cherry Wood Cabinetry, Granite Counters, Italian Travertini Floors, Coral Stone Fireplace with Electric Heating Insert, Wine Room, and the Pebble-Tech Pool & Spa. 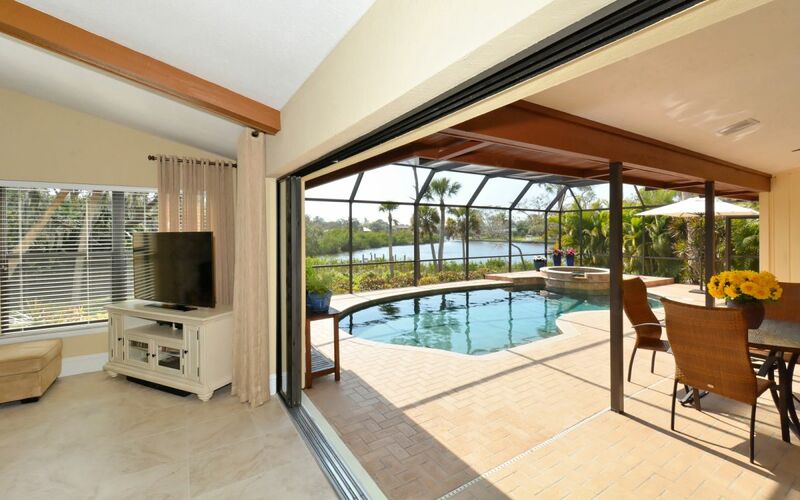 But what really grabs you are the wonderful tranquil water views from most of the rooms.